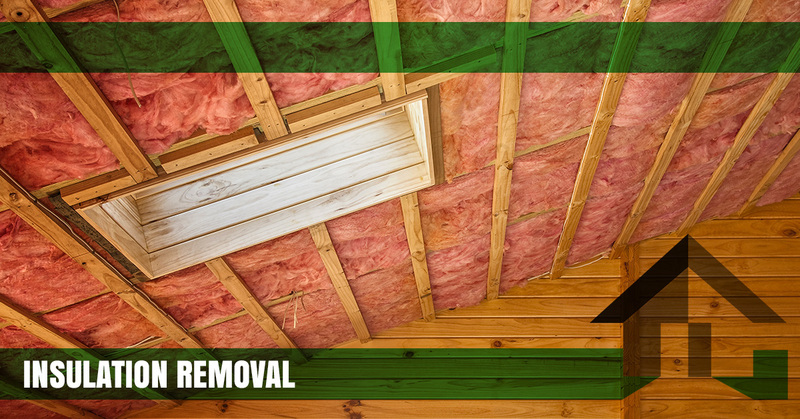 Insulation removal is no easy task, and it requires a significant amount of preparation to be performed successfully. Insulation removal requires safety goggles, a respirator, gloves, and a specialized safety suit, among other important pieces of equipment. You’ll likely only have to invest in insulation removal once or twice in your lifetime, so you shouldn’t spend money on expensive gear that you’ll probably never use again. If you need insulation removal in Denver or any of the surrounding areas, just call Insulation Pros of Colorado! We’re proud to be Denver’s Top Rated Local® insulation company, and we would love to help you remove insulation in your home and replace it with one of our high-quality products. When Should I Remove and Replace My Insulation? There are several reasons why you may be considering insulation removal for your home. The first, and most common, reason why you may be considering removing your old insulation and replacing it is that your home’s temperature is constantly fluctuating. Gaps or weak areas in your current insulation may be allowing air to escape and enter your home, resulting in an uncomfortable environment and higher utility bills each month. While adding extra layers of insulation and addressing weak points may resolve the problem, it’s often more cost-effective to think about your long-term needs and simply replace all of your insulation at once. Another reason why you may be considering insulation removal is because of an animal or insect infestation. Possums, squirrels, rodents, cockroaches, termites, and other unwelcome guests have all been known to nest in insulation. If you’ve experienced an infestation of any kind, we highly recommend that you choose to invest in insulation removal and replacement. Feces, eggs, and other waste are all serious health hazards, and insulation removal is the only way to ensure that you’ve completely addressed the problem. A third, and more common, reason why you may be thinking about insulation removal is that your current insulation is old and outdated. Maybe your home was built several generations ago and has poor insulation, or perhaps it’s been a decade or two since your insulation has been replaced. Whatever your situation may be, removing your old insulation and replacing it with one of our cutting-edge products will produce a noticeable difference in your home’s comfort level. Colorado is known for its harsh snowstorms and intense rain showers during the summer, and if your insulation has become wet, then you should immediately contact Insulation Pros of Colorado for an insulation removal appointment. Wet insulation provides the perfect conditions in which mold spores can thrive, and some kinds of insulation can release dangerous particles into the air when mixed with water. Moreover, insulation works by trapping the air inside your home. The intricate layers of your insulation will become saturated and compressed when exposed to water, rendering all of the affected insulation useless. These are just a few of the reasons why you may want to consider insulation removal for your home. If you’re unsure as to whether you should be removing and replacing your insulation, just give us a call! Contact an Insulation Contractor in Denver Today! Colorado’s dynamic climate requires you to have your air conditioning unit running every day during the summer, and you probably have your heater on through the end of April or May. We know that your comfort depends on quality insulation, and we have the team and the resources you need for a thoroughly insulated home. With a commitment to providing each of our customers with exceptional products and services, we’re happy to let our reviews speak for themselves. We offer special deals on our insulation installations and other services for first-time customers, and we happily provide free estimates for each of our services. As part of our ongoing commitment to helping our customers understand their needs, we’ll even provide you with an assessment of your home’s energy efficiency. We’ll point out areas where hot and cold air are escaping, and our team can develop a plan that addresses your needs without exceeding your budget. Call us at 303-731-0402 or use our convenient online contact form to get in touch with our friendly insulation contractors. We look forward to speaking with you about your home’s insulation soon!